Clear Blue’s Smart Off-Grid system is a critical component of our ability to provide voice and data services to unserved and underserved people in rural Nigeria. It enables us to implement our telecom infrastructure in remote areas where there is no electric grid access. Clear Blue Technologies Inc., the Smart Off-Grid™ company, in collaboration with NuRAN Wireless, is delivering its Smart Off-Grid platform to Raeanna, a Nigerian telecom infrastructure company focused on providing rural connectivity. 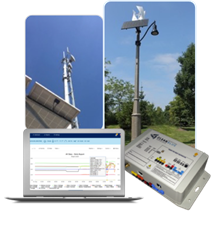 Clear Blue’s Smart Off-Grid power system supplies reliable, wireless, managed solar power to the NuRAN wireless radio communications system. As the first phase of a larger rollout, Raeanna has installed Clear Blue’s Smart Off-Grid platform and the NuRAN system at eight sites in Nigeria, providing reliable communications services for tens of thousands of Nigerians. An additional 20 sites will be installed over the next few months. In the next phase, Raeanna plans to enable new services for e-learning, e-health and e-commerce at these sites, which will transform these rural communities and make them part of the wider economy. With extensive management and control capabilities, automated monitoring and alerts, predictive weather forecasting, and the ability to optimize systems remotely, Smart Off-Grid technology helps to keep systems running, prevents outages, and enables remote troubleshooting when needed to quickly resolve any issues. The result is unmatched reliability, long-lasting system performance, and a significant reduction of up to 80 percent in maintenance and operational costs. About Clear Blue Technologies Inc.
Clear Blue Technologies, the Smart Off-Grid™ company, was founded on a vision of delivering clean, managed, “wireless power” to meet the global need for reliable, low-cost, solar and hybrid power for lighting, telecom, security, Internet of Things devices, and other critical systems. Today Clear Blue has over 400 customers and 4,000 systems under management across 34 countries, including the U.S. and Canada. With its Smart Off-Grid technology and the industry’s most advanced remote cloud management system, Clear Blue’s service team manages and operates all of its customers’ systems, delivering unmatched reliability and long-lasting system performance while reducing installation and maintenance costs by up to 80 percent. Under the Illumient brand, the company sells complete solar and wind-powered lighting systems. Learn more about Clear Blue Technologies at http://www.clearbluetechnologies.com. Nigeria Limited is a leading telecommunication infrastructure service provider in Nigeria and the Africa sub-region. Over the last 17 years of its existence, the company has grown steadily from a telecoms infrastructure provider, to a licensed colocation service provider and a leader in provision of rural telephony services across Nigeria. As an innovative technology driven company, our mission to connect hamlets and villages within Africa, has become the bedrock of the organization with a view in improving technology advancement across Africa.